Wren came to the Sanctuary from a rural humane society. She was in a tough situation before she was rescued, so she is wary of people and has trust issues. 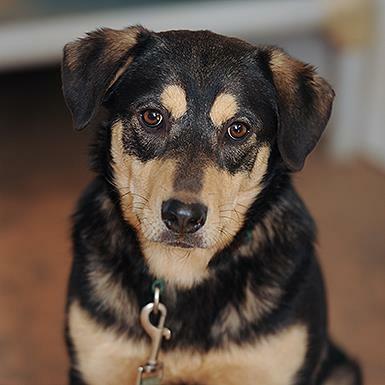 Wren really wants to be friends with people; she just needs a little time and patience. She's okay with going for walks as long as she's leashed up slowly and gently. Born in 2016, Wren is great with other dogs. She's looking for a loving, understanding home and that special person who will give her the time she needs to build confidence and develop trust. This dog is featured as part of our BLISS (Behavior Lifelong In-home Support System) Program. Through this program, you will receive pre- and post-adoption training advice from one of our behavior consultants, as well as a training plan specifically tailored to the dog's transition into your home. As an added bonus, this dog's adoption fee is waived and if a flight home is needed, that's free as well!